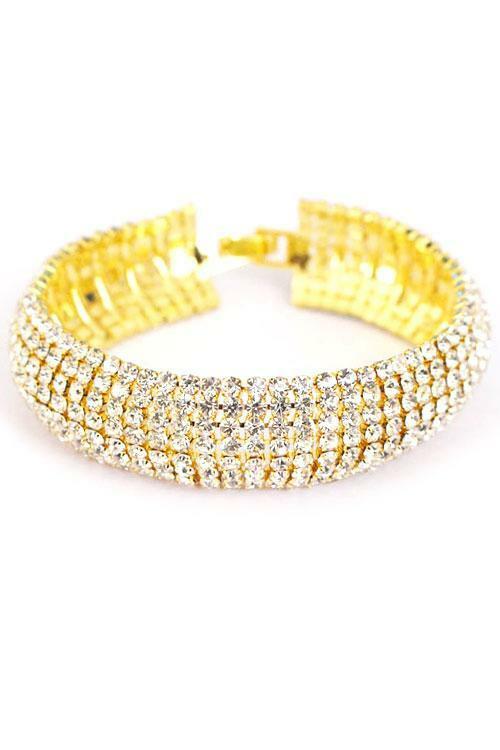 This gold Hollywood bracelet is reminiscent of the jewelry worn during the golden age of glamour! Bracelet measures 7in long. Bracelet is a hint pink gold, though not a true rose gold.